For HTTP calls to e.g. 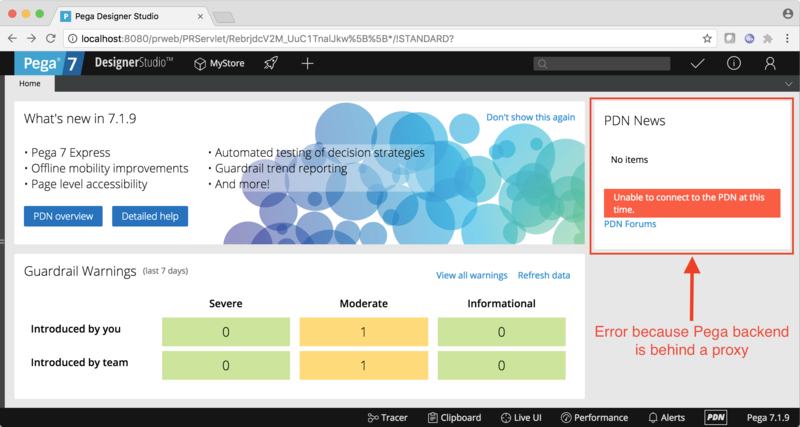 REST services, a Pega 7 HTTP proxy may have to be configured. This is the case when the Pega 7 Exercise System from Pega Academy –using VMWare Player or Oracle VM VirtualBox– is installed on a machine within a network that requires a network proxy for Internet connections. Here, the Pega 7 Exercise System is installed as per Installing Pega 7 on Mac OS with Oracle VirtualBox. The screen shot below shows the Pega 7 Designer Studio home page. 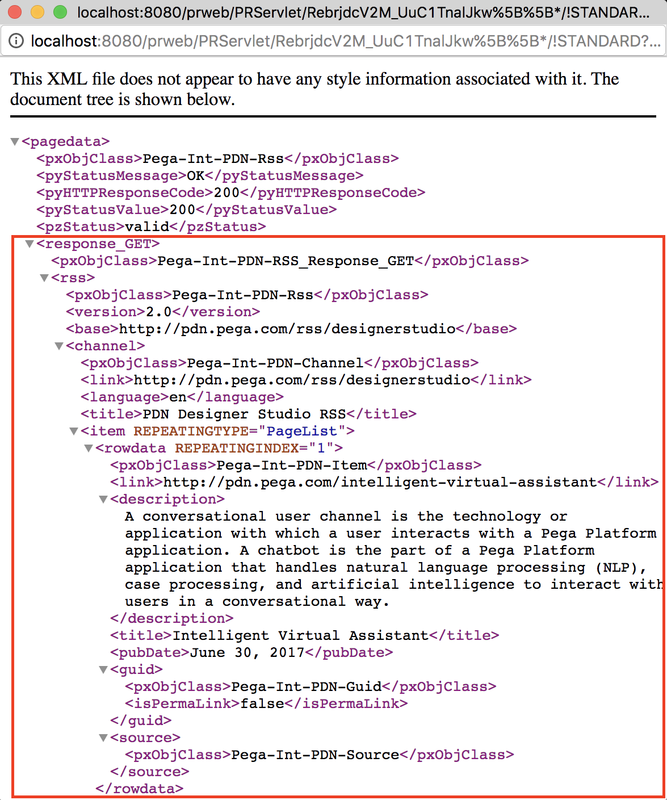 On page load, Pega 7 will attempt to connect via a REST service to the PDN to get the news. When Pega 7 is running behind a network proxy, this call fails and the error Unable to connect to the PDN at this time. is shown. 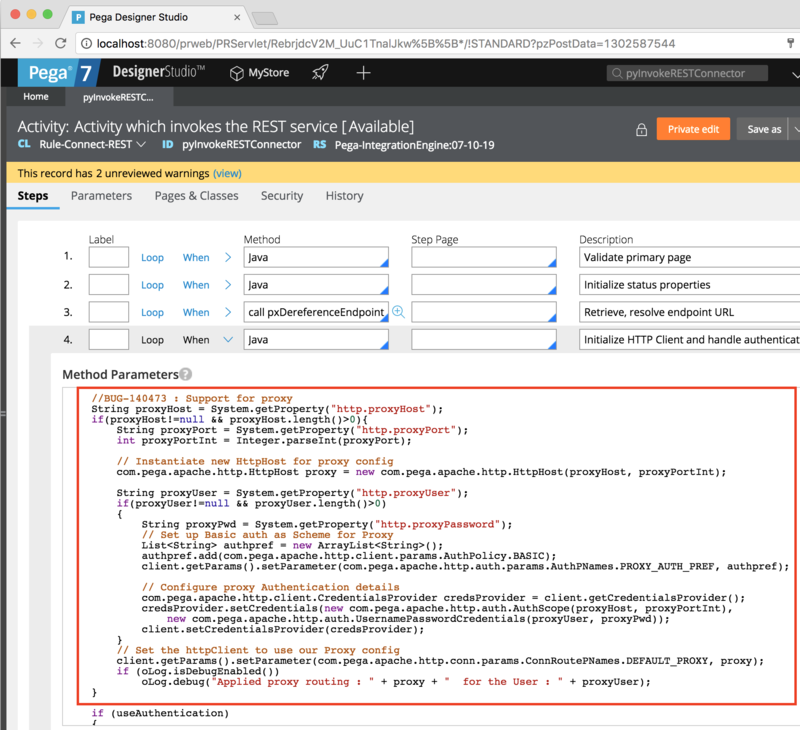 This post shows 2 options for configuring a Pega 7 HTTP proxy. 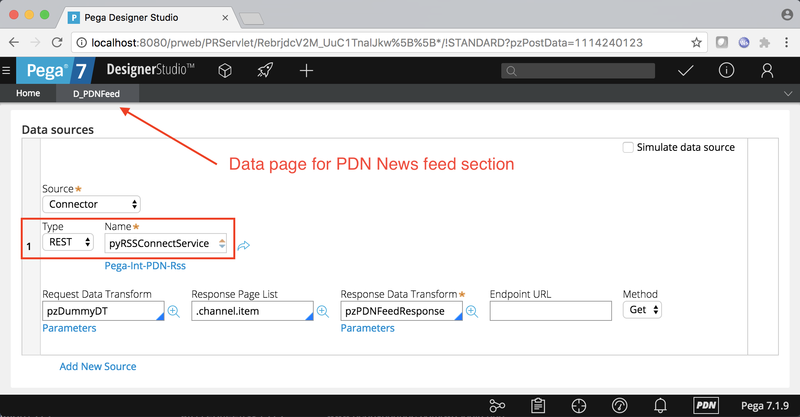 The PDN News feed section relies on a data page called D_PDNFeed, which uses a Connect REST rule called pyRSSConnectService as its data source. For Connect REST rule executions, Pega 7 uses the activity pyInvokeRESTConnector to facilitate the HTTP GET or POST call. This activity contains Java steps that use the Apache HttpPClient API. In step 4 of the activity, there is logic to check for HTTP proxy system properties. System properties can be added to Tomcat using the catalina.properties file. This file is located in the <tomcat-root>/conf folder. Note that the backslash character in the username is encoded using \u0005c as per the Unicode standard. For details on this see Java properties backslash discussion on stackoverflow. Restart Tomcat or if you are running the Pega 7 Exercise System, restart the virtual machine. The PDN news feed on the Designer Studio home page should now load successfully as shown below. If an activity is used to call the Connect REST rule, a Java step in the activity can be used to set the system properties before the call to the REST service. In the below example, the same Connect REST rule is executed in a custom activity using the Connect-REST method. A Java step is used to set the HTTP proxy system properties. How can I have a list of all REST-Connectors used by an application regardless of what layer they are created. They could be created in enterprise layer or FW layer or implementation layer. I need to regenerate a list of all REST connectors that are directly or indirectly referred/used by an application. 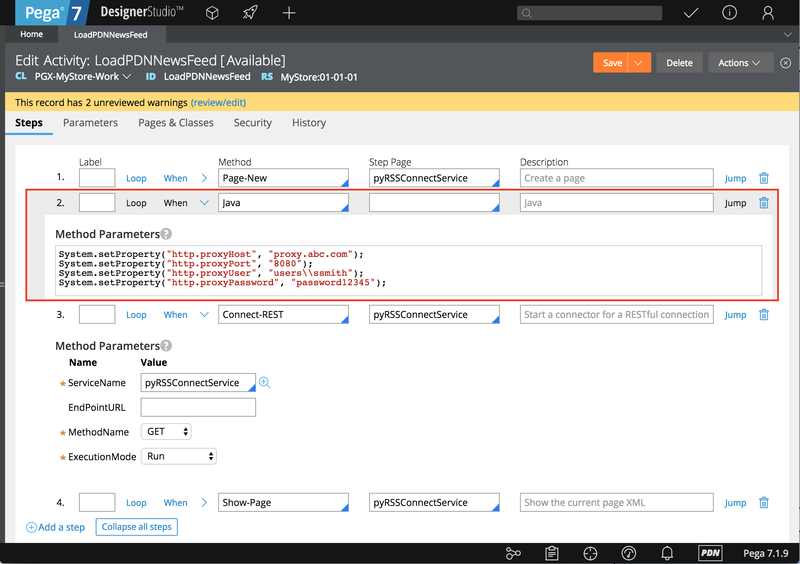 I think you can use the Records Explorer in the Pega 7 Designer Studio to view all Connect REST rules. The below post has some info and screen shots for the Records Explorer. Look under the category Integration-Services.